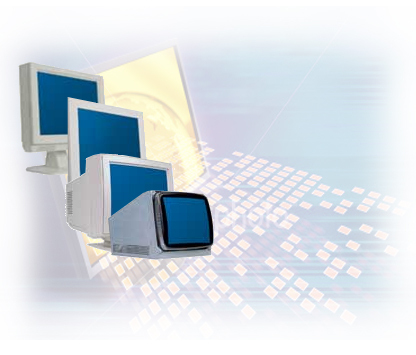 Microvitec provides a comprehensive replacement service for industrial CRT monitors. We have monitor solutions for legacy video standards in the horizontal frequency range of 15 to 64 kHz. We provide worldwide sales and support directly from our UK office. Our LCD monitor range offers direct replacements for CGA, EGA, SOG (sync on green) and BNC video inputs in desktop, chassis and rack mount variants. The Low Scan 15DT monitor provides a direct replacement solution for CGA and EGA monitors, 9 pin 'D', TTL, SOG (sync on green), and BNC video inputs. It now replaces our CRT range of monitors. Please Email us with your current model that you wish to replace and we will check its compatibility. Our 18.1" Marine Grade Monitor (46E2SMAL01/02/03) has been replaced with a more up to date (form, fit, function) 19" display. The new monitor (MV19LCDM-MC) conforms to the environmental and marine specifications of the old unit and will be shipped correctly configured for an Alstom/Converteam 'A' series DP system. Please Email to enquire.